Laurie is a certified trainer in the Working Minds Program. If you are interested in presenting this program to your workplace, please contact me for more information. Working Minds trains organizations to proactively address the early warning signs of suicide in the workplace. Just as organizations have realized they can help reduce heart disease by encouraging exercise, they can also reduce suicide by promoting mental health and encouraging early identification and intervention. The Working Minds training is listed on the National Best Practices Registry for suicide prevention. This training will educate and equip businesses with tools to address mental health and suicide concerns within the workplace. Laurie is a trained Suicide Bereavement Support Group Facilitator through the American Foundation for Suicide Prevention. 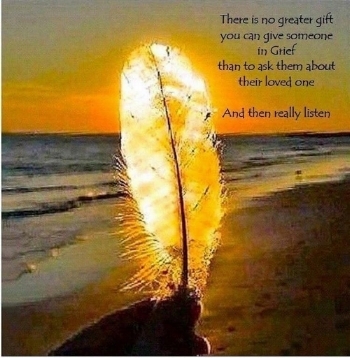 No matter how you choose to deal with your grief, you should not have to cope with your loss alone; be open to letting people help you live through this experience. It may seem as if life will never feel normal again, as if you will not survive this, but you will. Be kind and patient with yourself, and find support—from other suicide loss survivors through support groups. safeTALK is a half-day alertness training that prepares anyone 15 or older, regardless of prior experience or training, to become a suicide-alert helper. Most people with thoughts of suicide don’t truly want to die, but are struggling with the pain in their lives. Through their words and actions, they invite help to stay alive. safeTALK-trained helpers can recognize these invitations and take action by connecting them with life-saving intervention resources.